Success tips to setup & do business in India & interesting facts about India. The educated class in India speak English well and Indians are usually good communicators. There are a lot of public holidays in India. Before travelling to India for business, it is important to check the calendar. Although Mumbai is India’s financial capital, Delhi is the place where major business transactions happen. Also, Delhi is a better planned city with a good infrastructure unlike other Indian cities. India has the world’s sixth largest economy of over US$2.45 by nominal GDP. Based on 2017 Global Services Location Index, India is the best country for outsourcing activities. Half of the world’s outsourced IT services are provided by India. How many directors are required for forming a business in India? Only 2 directors are required when registering a company in India. Is it mandatory to have a resident director or shareholder for Company Registration in India? Yes. Under the India Companies Act, every business must have at least 1 resident director. As India company registration agents, Healy Consultants will provide our Clients with this nominee resident director service for US$4,600. How many shareholders are required for registering a company in India? A minimum of 2 shareholders will be required for business registration in India. How to register a business in India? For business registration, our Client will be required to i) reserve the company name ii) supply the India office lease agreement iii) sign the company setup forms iv) register for tax and social security and v) obtain a business license.Healy Consultants’ experts are India company registration specialists and will assist our Clients at every step. Why must a company be registered in India? 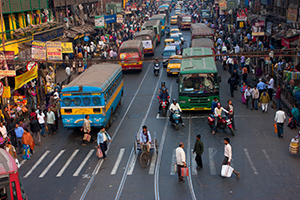 Being the world’s 2nd largest populous economy, India has a massive untapped consumer market. Moreover, it has benefits of low consumer cost index, low retail electricity prices and low average salaries thereby making it inexpensive to conduct business especially for foreign entrepreneurs. What documents are required for company formation in India? All forms are available for download at the Ministry of Corporate Affairs website. The above is a preliminary list of documents. Depending on the nature of business, it might vary. Can foreigners be the director of an Indian company? Yes, a foreigner can be the director of a new limited liability company in India after obtaining the Director Identification Number (DIN). However, at least one director from the Board of Directors must be a Resident of India. How to form a group of companies in India? The most popular form of business entity among foreign investors in India is the Private Limited Company (PLC), to form a subsidiary, a joint venture or a 100% owned company. Visit our Incorporation Steps page to know the procedure for registering a company in India. How to register private finance company in India? A private finance company in India can be registered as a Non-Banking Financial Company (NBFCs)-Micro Finance Institutions (MFIs). The following steps are to be followed to register the same. A Certificate of Registration must be obtained from the Reserve Bank of India (RBI). The list of documents to seek the certificate has been outlined in the RBI website. Is GST registration mandatory for new businesses? For inter-state supply services provided by job workers whose annual turnovers are less than US$27,611. Do I need to have an office space to incorporate a company in India? No, according to Companies Act1956/2013, every company looking for registration in India needs to have registered office to which all official correspondences can be sent by the government departments. There is no need for an actual physical office space. A residential address can also be rented and used as a registered office. What do these abbreviations stand for – ROC, PAN, TAN, TDS, DSC, DIN, MOA, AOA? AOA: Articles of Association is a legal document defining the responsibilities of the directors, the nature of business to be carried out, and the means through which shareholders could exert control on the board of directors. What is the difference between OPC LLC and a normal LLC? Although there are no major differences between an OPC LLC and a normal LLC. An OPC LLC is essentially a sole proprietorship which offers limited liability to its sole shareholder. Below is a small table of comparison. You can contact us for a complete description of the same. Is it possible to register a company in one city and later change to another location? The Registrar of Companies (ROCs) under the Ministry of Corporate Affairs (MCA) are responsible for registering all companies and LLPs in all the states and union territories of India. Within 30 days of receiving the change, the ROC would send its confirmation. The ROC of the state in which the office has been relocated shall register the company and issue a new certificate of incorporation. Is there any procedure to follow when choosing a company name? Our Client should incorporate the proposed company within the reservation period. Otherwise, the proposed company name shall be lapsed. You can read the MCA’s Company Rules, 2011 page for a detailed insight regarding the entire procedure. Register the trademark by paying the registration fees.